Our client, a Consultant Child and Adolescent Psychiatrist, wanted a convenient way to know essential feeding and eating disorder weight parameters, without having to retreat to a desktop computer. Developing a ‘calculator app’ seemed like the most practical and cost-effective way forward. 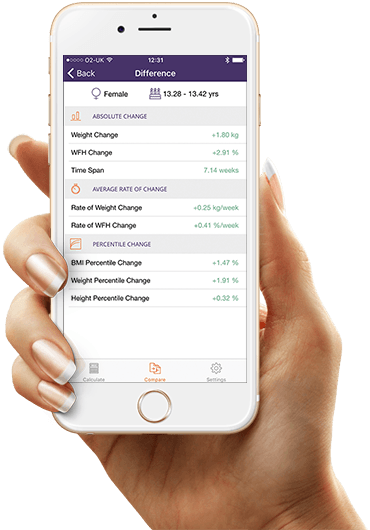 The Instant Weight for Height app is an easy-to-use dual function calculator for health professionals working with child and adolescent patients with a possible eating or feeding disorder. It is an intuitive mobile solution to desktop alternatives, making on-the-spot calculations in various clinical and meeting settings beautifully practical. Simply enter your patient’s measurement data and you can calculate their current Weight for Height, BMI and growth percentiles. You can also compare two separate measurements and quantitatively display their Weight for Height and Percentile changes over time, giving you precise insight into their progress. 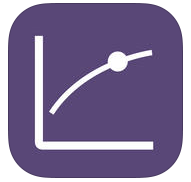 With the option to switch calculation reference data between UK or USA growth norms, and units between metric and imperial, this app is internationally adaptable. The app has been completed and is available on the iTunes app store and the Google Play Store for both tablets and smartphones. In my consideration of selecting a developer for my medical application project, I was extremely pleased to have met Generic Digital and very quickly felt a sense of confidence, and reassurance in their specialist knowledge and experience in the medical app sector. Their design examples, pre-quote communication and description of the process of development was attractive, honest, personable and professional. I certainly felt good about deciding to go with Genetic Digital. My iPhone app has been successfully published in the App Store, and the Android counterpart is near completion. I have been happy with the process. Their communications and updates of progress via email has always been timely and thoroughly informative – keeping me abreast of project status – even without having to request updates! Their perseverance in problem solving around the development process is very commendable and I appreciate it very much. My medical calculator project involves interconnected webs of arithmetic and equations. I appreciate their patience in fully extracting my clinical-view point knowledge I order for them to do the best possible job from the development end, and also their attention to, and appreciation of, detail. Something of paramount value to me is visual design. Their design facelift, from my original design ideas, have left my app with a superiorly crisp, professional finish. I am so pleased with how Genetic Digital have handled this. Their skill and passion for producing exceptionally well designed medical apps is entirely evident. I’m very happy to have gone with Genetic Digital and feel in very safe, attentive hands for the phases beyond store publication.